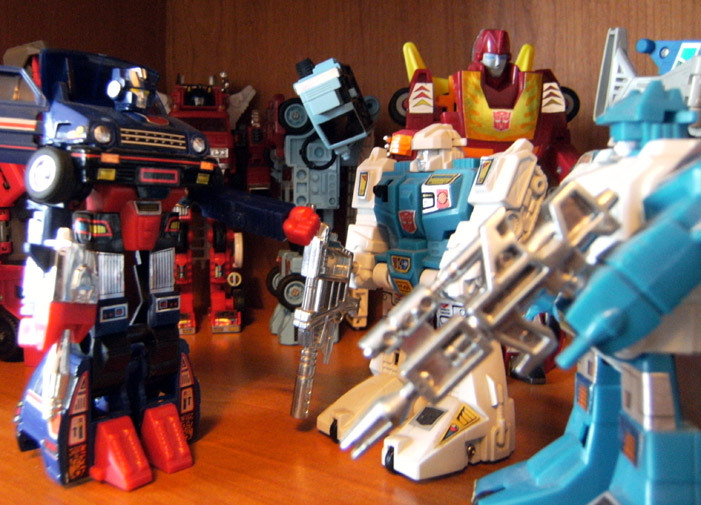 Skids attempts to explain the merits of cooperation and non-violent solutions to the Jumpstarters, the Autobot shock troopers. Skids means well, but he doesn't seem to notice their aggressive lack of interest. Twin Twist is, even now, thinking of shooting him in the mouth. Background: Hot Rod, who is totally trying not to laugh at this whole conversation. Also, some other Autobots I mention elsewhere.